Someone on HCW just posted…. 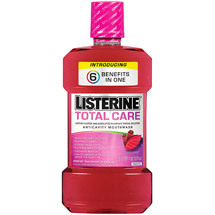 The Listerine Total Care Cinnamint was on clearance at my store for $1.24 and it produced the $2 ECB from this week’s ECB deal. Plus there is a $1 coupon in the 5/16 RP and the 8/1 SS. The small 4.5 oz cans of Emerald Nuts are $1 and there is a $1 coupon in the 8/15 RP. That makes them FREE!!! If you scanned your CVS card last week, you might have received a coupon for $1 off 2 Caliber stationary items (pens, notebooks, etc.). That makes them free after coupon!!! Have You Bought Your BLINK at CVS yet??? That turns this deal into a $1 money maker!!! That makes it 19� each. I got my CVS ad early and guess what is BOGO AGAIN starting Sunday… yes that is correct, Sobe Life Water. So make sure you play the Sobe Heads or Tails game to get some more printable BOGO coupons so you can get more free Sobe!! !